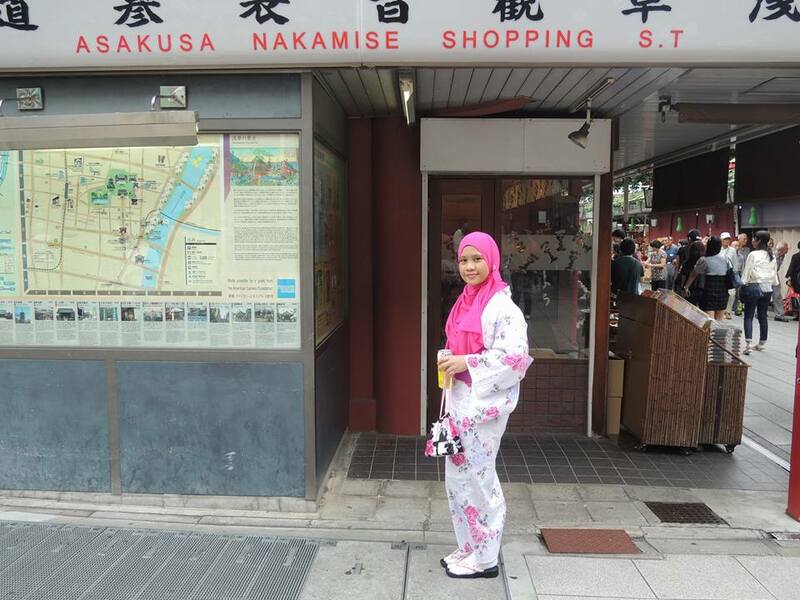 nanyfadhly: A day at Asakusa wearing yukata for the 1st time. We had spent our wonderful Saturday as a "Japanese celup" on last Saturday in Asakusa. It was a great experience to know how it is feel wearing their garment. Yukata is a casual summer kimono usually made of cotton or synthetic fabric, and unlined. Yukata are worn by men and women. Like other forms of traditional Japanese clothing yukata are made with straight seams and wide sleeves. There were so many rental shops for wearing yukata / kimono in Asakusa. One of my friend was kind enough by volunteering herself to make a reservation for all of us. This rental shop name Kimono Koto is very near with Asakusa station. Make sure you take Asakusa line (subway) and take exit number 4. From the exit, you need to turn right and walk about 300 meters. The shop is on your left just before the main junction towards the Kaminarimon (Kaminari Gate) and it was located at the 2nd floor. I rented one basic set of Yukata (YEN2400) but have to add another YEN300 for the inner and YEN300 for the socks but it is optional. I rent one obi (YEN800) for Hannah and total cost for us is about YEN3,800 but after including 8% of tax, the total is YEN4,104 (RM147.00) . We arrived at the shop around 11:30 am. We then, started choosing our yukata. In my opinion, there were not many of choices. But it's still fine for me. 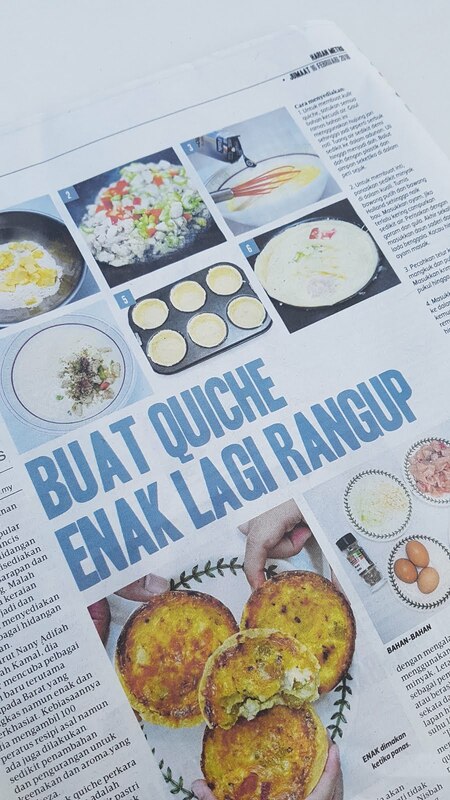 If banyak-banyak sangat pilihan pun, lagi lama nak pilih and pening dibuatnya. We proceed to the changing room and one of the sales assistant , Japanese lady help us in wearing our Yukata. We 1st have to wear their inner. It looks like a bath robe but the fabric is really thin. I think it was designed like that just to suit with the current weather. Now, come to the challenging part. Securing the yukata with obi or sash in english ( it's like a wide belt and part of yukata too ). It was finishing by nice and pretty ribbon. After taking a photo inside the shop, we proceed with our own agenda...out door photo shoot! . Please enjoy our photos yeahh!!! Us inside the Kimono Koto Shop Asakusa. 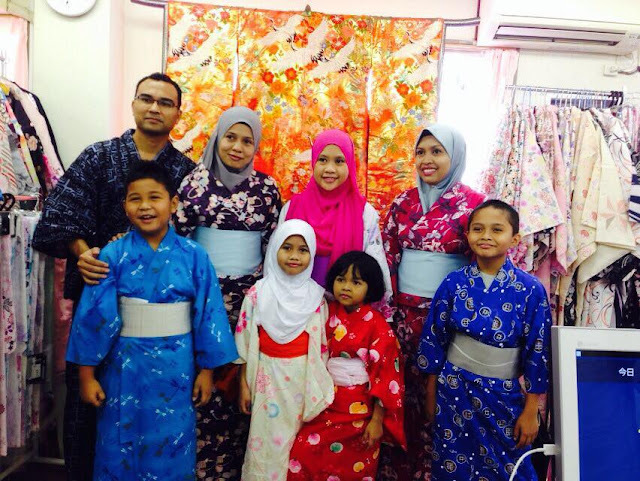 Don't worry if you want to bring your children as well coz they also have yukata for men and children for rent. My 3 yrs old son wearing his own yukata. I purposely bought this at Ito Yokado Mall coz I want to have some memories with Nihon when we back at Malaysia later. I only rented obi for Hannah and it looks pretty with her. While waiting for others to get ready. One of my friend is getting ready. Final part of wearing yukata. Secured the yukata with obi assisted by the shop assistant lady. Love at this multicolored print yukata for children. Bright and they looks so energetic. With other ladies in their yukata. Basic yukata for woman is YEN2400 icluding ; yukata, pouch, obi belt, sandal. Add another YEN300 for socks (optional) and YEN300 for inner. Don't forget to include another 8% for the tax. Very touristy shopping street area. The shop has two level of dining areas. Another level is located upstairs together with prayer room. Ok, that's all for our story on wearing yukata. It was a great experience for all of us. 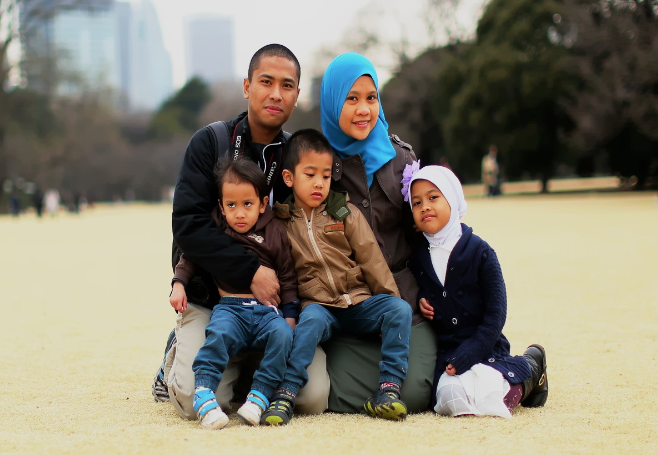 Thank you to my hubby for become a photographer on that day. Next step is, planned to make a photobook soon. Gambarimashoo!! !